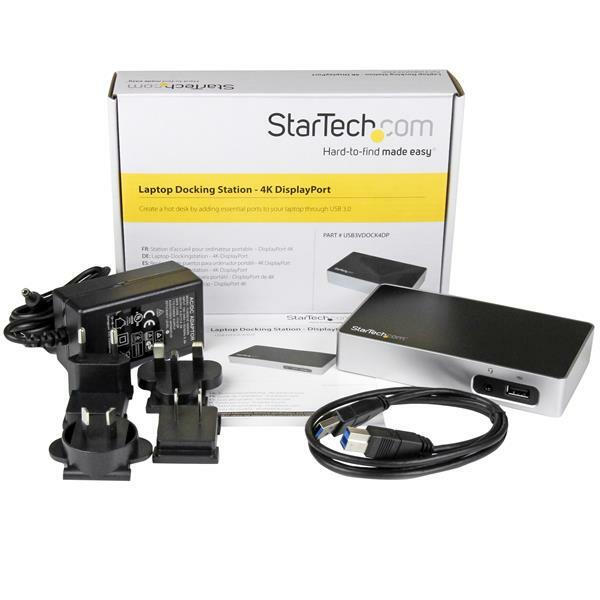 If you don’t need all the connections and features of a traditional laptop docking station, you can use this dock to add the most essential connections (such as an extra high-resolution display) to your laptop. With support for 4K cinema-quality resolution, it’s great for graphic and web designers, video editors, and more. 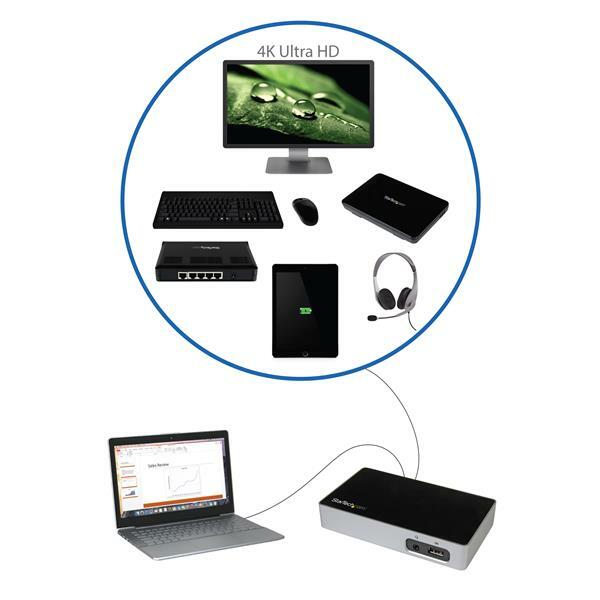 This laptop dock features basic device connections that are integrated into a small foot-print housing. Now you can create a permanent or a hoteling (hot desking) workstation in a location with limited space. 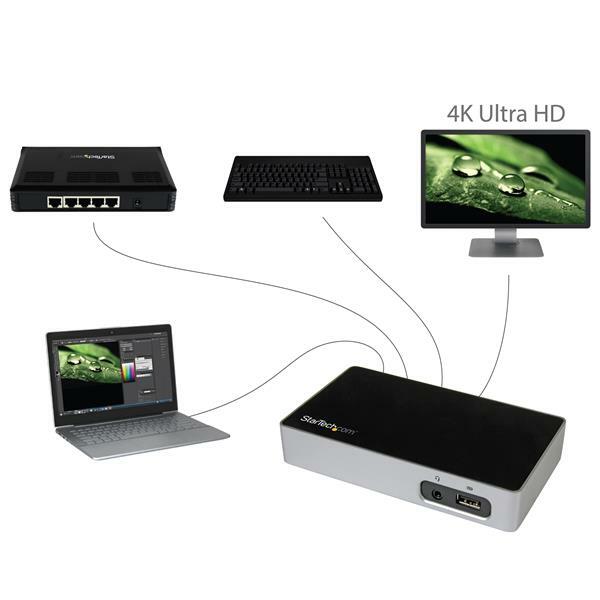 The dock offers an efficient solution for adding an extra display, a Gigabit network connection, and multiple USB devices without having to connect several individual adapters. And, with hotel desks or hot desks, laptop users aren’t tied to one specific workstation, so they can come and go easily. 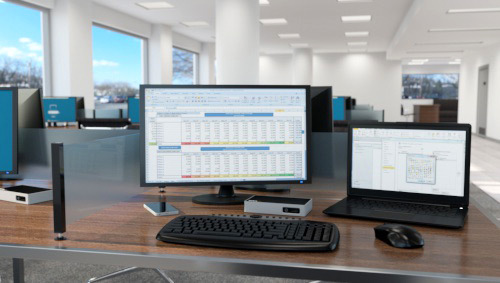 The DP dock offers simpler connectivity, so you can save money by avoiding a docking station that has connections you might never use. 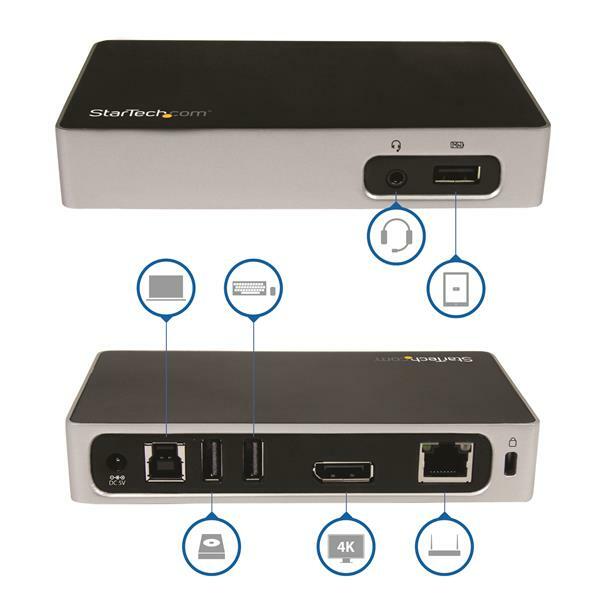 It’s perfect for anyone who needs to expand their connectivity in virtually any environment or application. 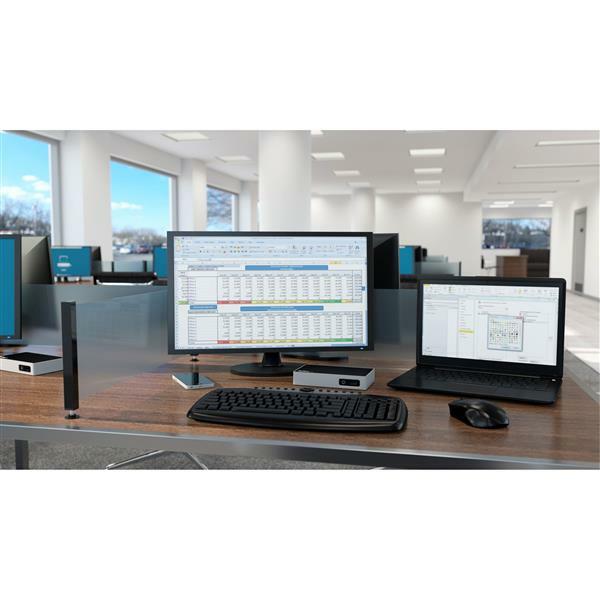 It’s a cost-effective docking station that still provides all the fundamental ports of a full-size workstation, such as an DisplayPort output, and when paired with your laptop display, you can easily set up dual monitors. 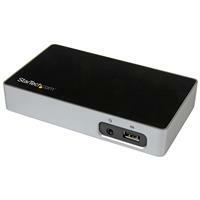 If you’re running out of physical workspace, this USB 3.0 (also known as USB 3.1 Gen 1 - 5Gbps) docking station can help. Its compact design occupies minimal surface area, so you can integrate it into smaller areas than traditional docking stations or desktop computers would require. With fewer ports integrated into a small foot-print housing, the dock is a perfect fit for short-term work areas (hot desks). It’s ideal for mass deployment in business, classroom, computer lab, and government settings. Plus, it integrates nicely into home-office or office-hoteling workspaces that have limited space. You can avoid the aggravation of a dead battery and make sure your mobile device is always ready to go, using the dock’s USB fast-charge and sync port. Plus, the always-on USB port supports device charging even when your laptop isn’t connected to the dock. When you’re in a hurry, the easily accessible USB port charges your smartphone or tablet faster than traditional USB ports. This front-panel port ensures your mobile device is always within arm’s reach, so you can simultaneously get your work done while enjoying convenient device charging at your workstation. The USB3VDOCK4DP is backed by a StarTech.com 3-year warranty and free lifetime technical support.